1 sweets | This Blog Rules | Why go elsewhere? Maybe it’s just a cultural thing. Or maybe it’s just the fact that not all of us are built to eat ash-flavored things. Either way, there are definitely numerous types of weird candy out there that we likely wouldn’t touch with a pole. And, just for the record, for them to classify as weird, we will take anything that essentially makes you lift an eyebrow and/or scrunch your nose the first time you lay your eyes on them. 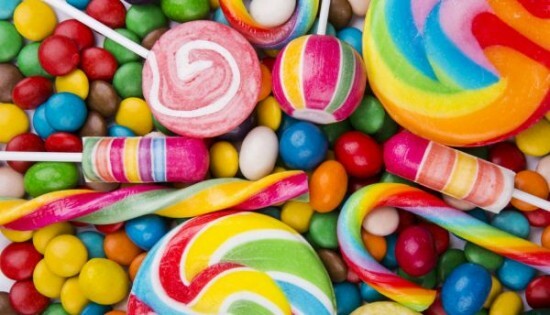 Here is ten of the weirdest of that weird candy. We need to face it – the number one reason why a sweet treat might be considered more bizarre than a normal candy should be is because of a weird flavor. Lobster candy is just one of those things that you seriously doubt you’d ever hear a child excitedly ask for. We couldn’t fit into the title the part that mentioned that they’re black cherry flavored. Now that you know this, you might be wondering what the actual taste of the candy is. Is it ash or is it cherry? In a sense, it’s both. It’s one thing to get super specific with your favorite flavors, but completely another to wake up one day and wonder what your grandpa’s urn ashes taste like. The good news is that, fortunately, there isn’t any actual cockroach flavor involved in this business. The bad news is… no matter how you look at it, that’s still a cola jelly shaped like a cockroach. We suppose that it’s a positive thing that the creators are self-aware and admit that their sugary treat is supposed to make your stomach turn. This is why we said flavor isn’t the only element worth considering when trying to pick out the crème a la crème of weird candy. These colorful and seemingly harmless powder tubes have been created with a malicious intent behind them. One can stain your mouth, one will dull your tongue with its sour taste, another will foam when consumed, and the fourth one does all four. Having trouble managing your time in order to set up that amazing Thanksgiving table? Don’t worry! 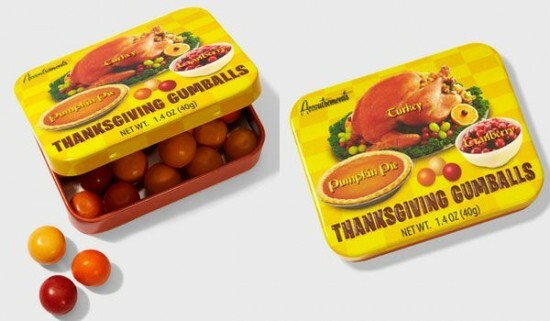 Rather than spending hours on mashed potatoes and turkey, you can simply serve your guests these fantastic gumballs, all of which strongly resemble your favorite Thanksgiving dishes. You won’t even be able to tell the difference. It’s a general rule in cuisine that anything that is arranged on the plate must be edible. Some Japanese candy makers decided that this needed to be applicable for sugary delights too, which is why they decided to wrap their candy in edible rice paper. Do you ever wonder when too much would just be too much? Well, it’s definitely not the case of these extra lollipops. When you’re in a rush and can’t afford a full proper breakfast, just pop one of these in your mouth. You’ll get your morning coffee fix, your bacon, and your maple syrup all in one place. Make all your friends jealous by showing up before them rocking some diamond-like, shiny grills. While other people have just the grill, you’ll get to show them off with the fact that yours is also watermelon or peach flavored. We know. The first instinct is to wonder who thought making bacon-flavored candy was a good idea. But it gets even more disappointing once you learn that it’s not even bacon-flavored. In conclusion, you’re stuck with a bacon lookalike gummy that tastes like strawberry. That’s one sure way to confuse your taste buds. No, they’re not zombie-flavored, but this weird candy would make an excellent horde bait in the eventuality of an upcoming zombie apocalypse. Rich in brain flavors, these zombie mints will save your life literally and figuratively!